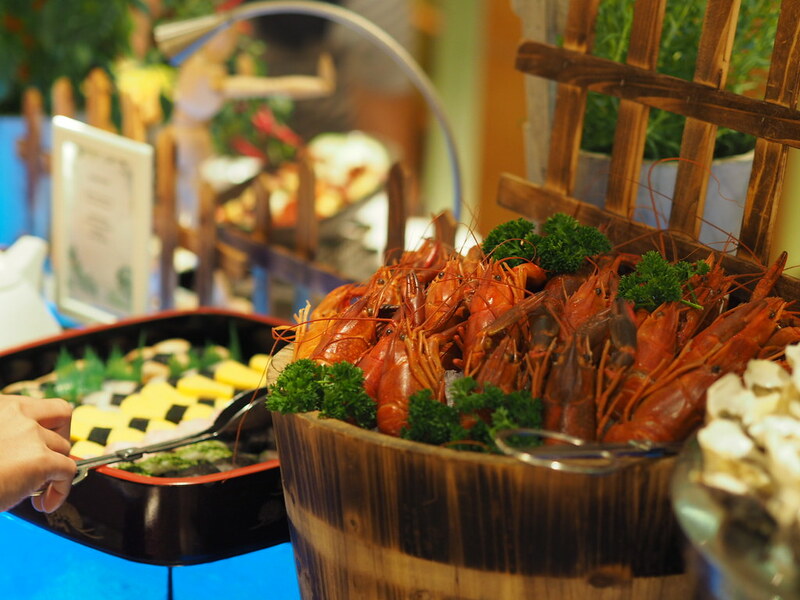 Situated within Holiday Inn Singapore Orchard City Centre, Window on the Park welcomes guests with a delectable array of local, Asian and seafood delights in their sumptuous reunion lunch and dinner buffet spread to herald the arrival of the Year of the Pig, available from 22 January to 20 February 2019. Simple yet full of flavour, diners can begin with a Salmon Yu Sheng at the DIY yusheng station where you can choose and pick the ingredients of the yusheng yourself, before bringing it to the table to begin the auspicious tossings! Start the feast by sipping on a comforting bowl of Double Boiled Old Cucumber Soup. 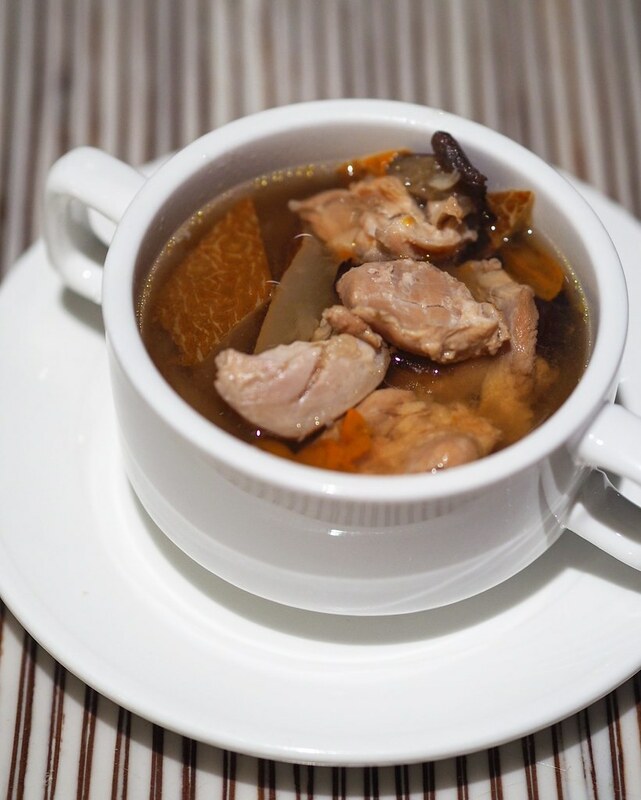 The soup is extremely nutritious and packed full of flavours, with generous amount of premium ingredients within. 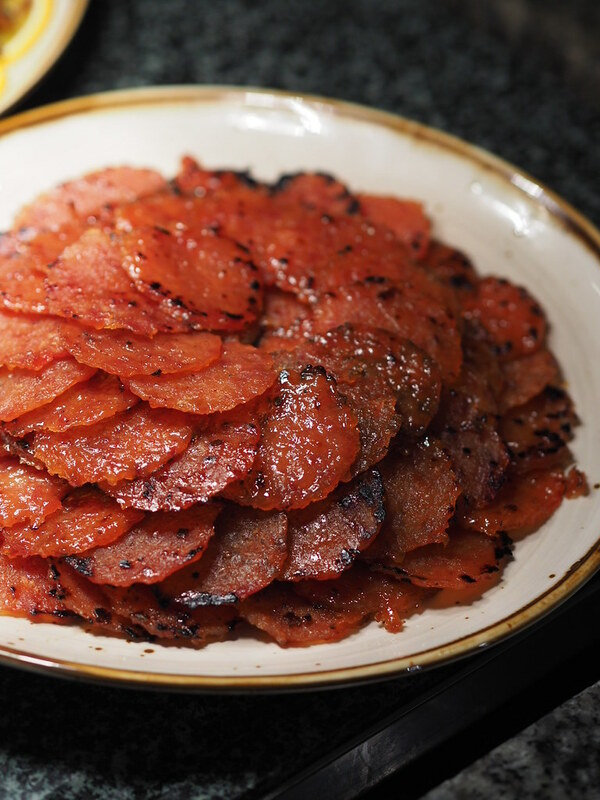 Graze on their fragrant coin-shaped Chicken Bak Kwa - one of their festive special in the buffet line up. Also an extremely addictive treat. 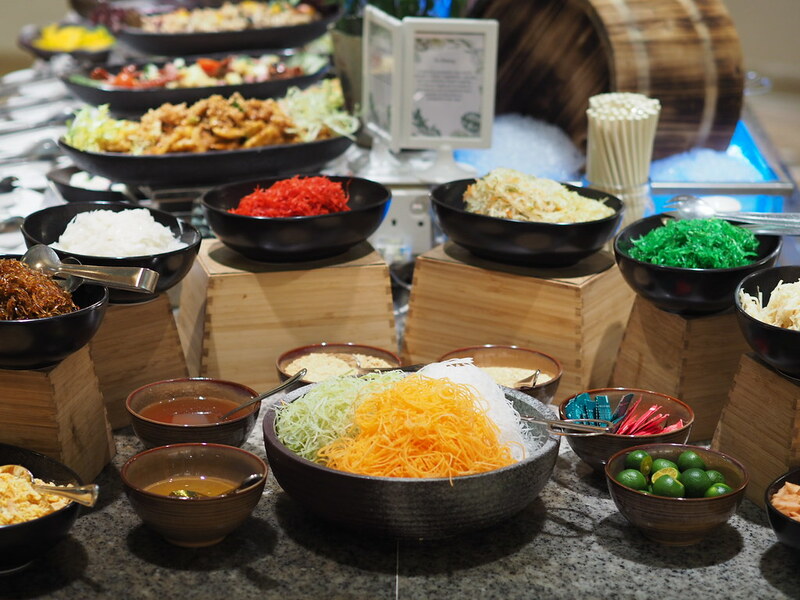 Usher in the Lunar New Year with culinary line up of superbly crafted Chinese New Year cuisine including the Steamed Glutinous Rice in Lotus Leaf with Chinese Wax Meat, Slice Szechuan Beef, Char Siu Fried Rice, Mongolian Prawn, and Butterfly Prawn with Wasabi Mayo Sauce. The Salted Egg Crayfish is one of my favourite. 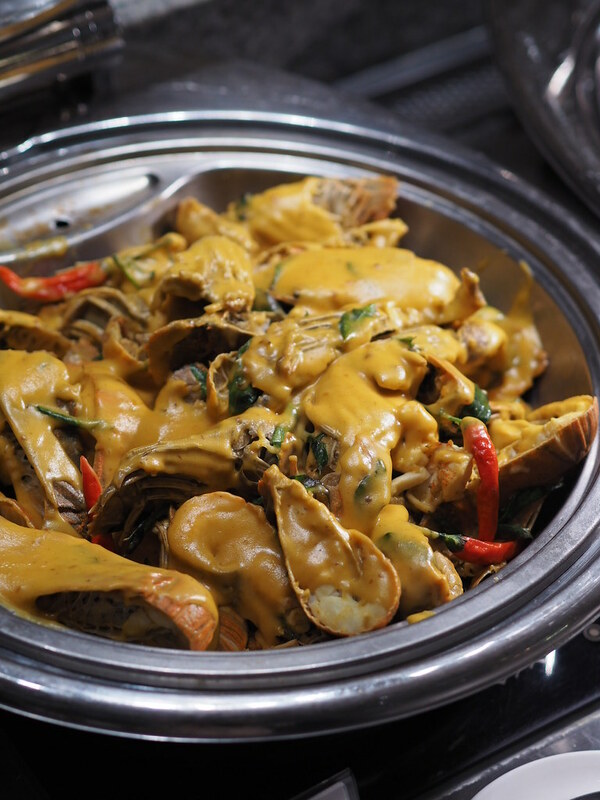 Fresh and tender, the crayfish comes slathered in a robust salted egg sauce with a hint of spice, no doubt one of the most popular dish as it was gone within minutes from the buffet table. 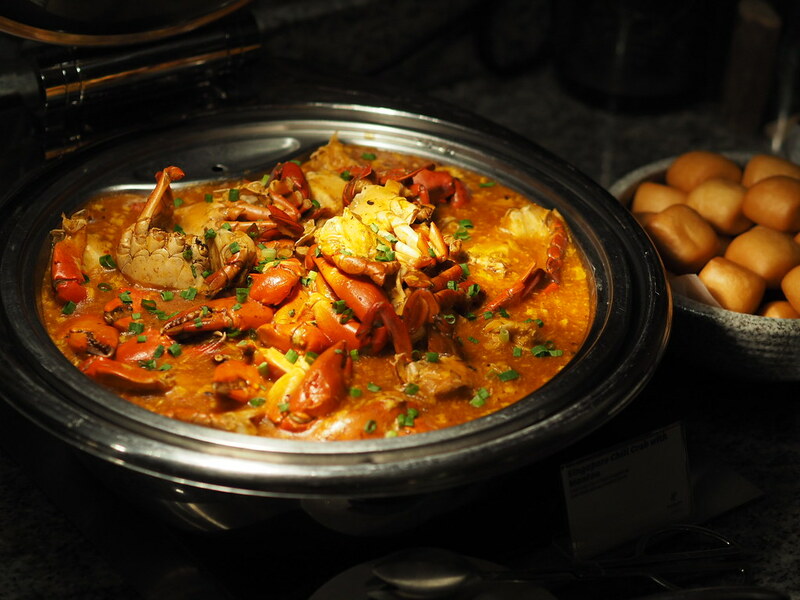 Dive right into their Singapore Chilli Crab with Mantou. With huge chunks of fresh crab drenched in a sweet and spicy chilli sauce, don't forget to dip and soak the deep-fried mantou for maximum enjoyment. 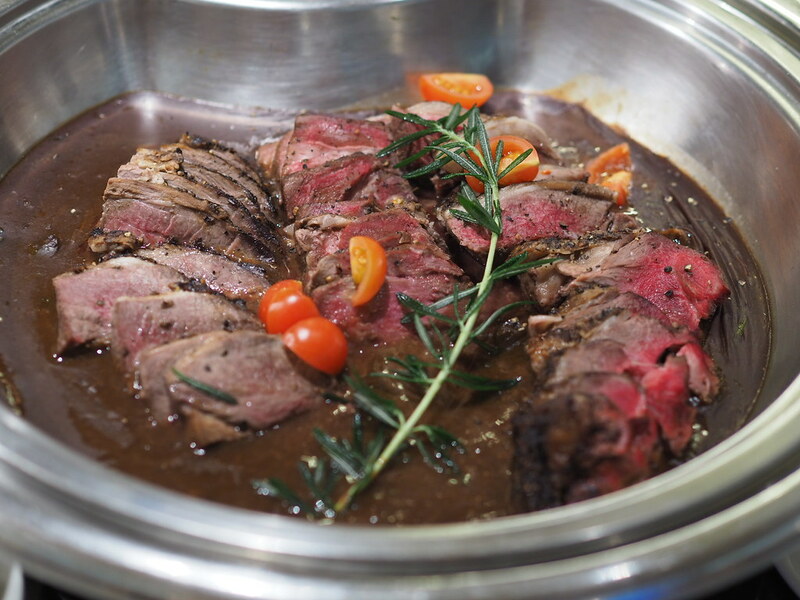 Reunite with your family and friends over scrumptious spreads of not only traditional Chinese New Year cuisine but Asian and international dishes as well, such as the Lamb Leg with Brown Sauce and Spaghetti Aglio Olio. 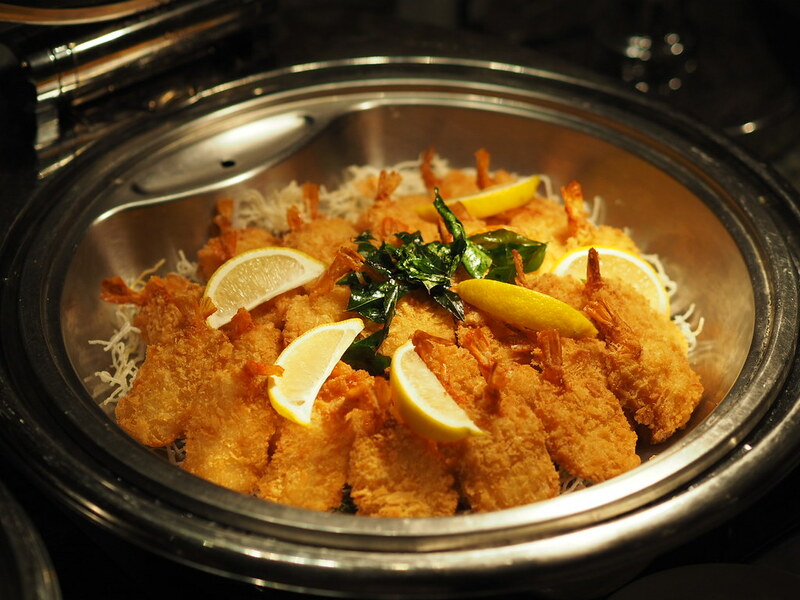 Hop over to the Japanese station for a wide variety of fresh sashimi, seafood and sushi, as well as the salad station where you can choose and customise your own from a selection of salad choices such as the Mix Fruit, Roasted Duck, Pasta, Prawn or Cheese Salad for something refreshing and lighter from the richer savoury dishes. 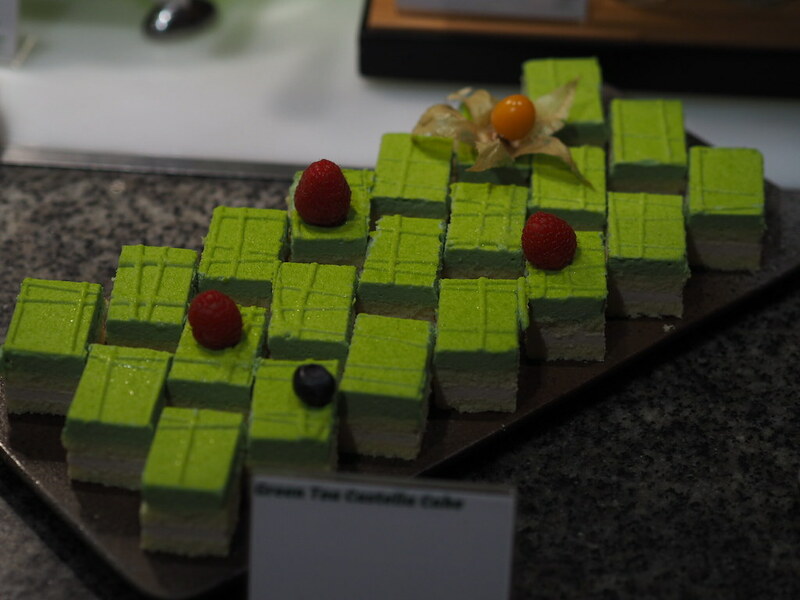 End the feast on a sweet note with desserts such as the Green Tea Castella Cake, Chocolate Tart and Creme Caramel, as well as an assortment of Nyonya Kueh. 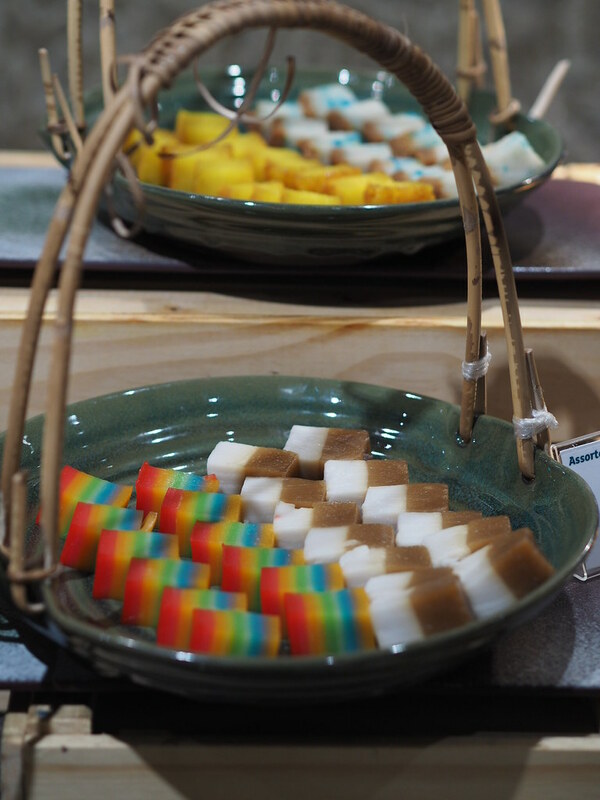 Don't miss out on their festive specials such as the soft chewy Pan Fried Nian Gao. 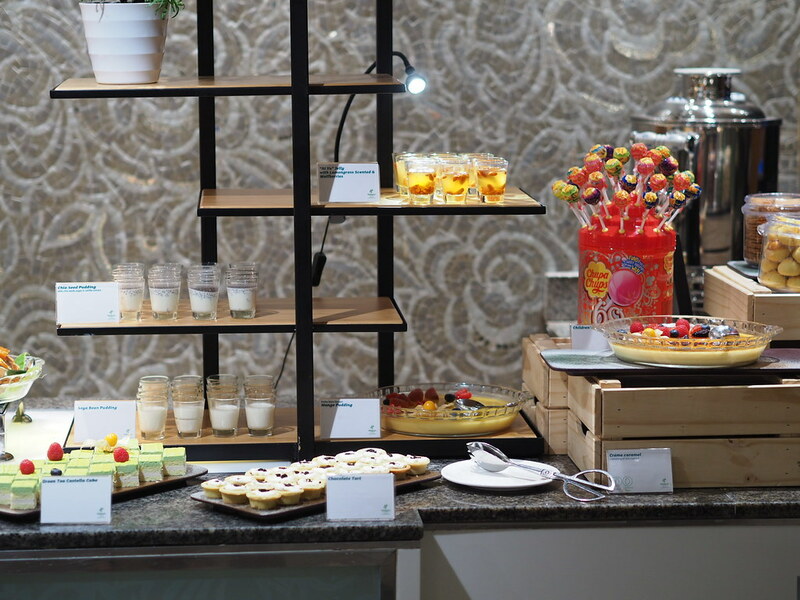 Diners can also look forward to an assortment of traditional Chinese New Year local cookies such as the Pineapple Tarts, Peanut Puffs and Love Letters. 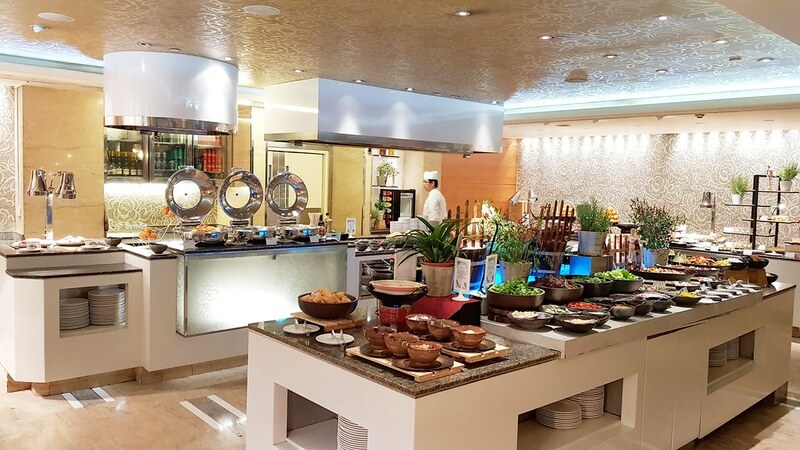 *2 to 6 February 2019: Additional surcharge of S$8++ per person on the meal prices for Chinese New Year buffet with enhanced offerings. Photos and words by Crystal. A girl who likes to eat, photograph, and write about food, and dreams about travelling around the world one day. Note: This is an invited tasting.